We operate in a friendly but competitive atmosphere and have a wide spectrum of membership, from juniors to veterans, both male and female and Cricketers of all abilities. We are an ECB Clubmark accredited Club. We have two Senior Sides that play in the Northamptonshire Cricket League (Division 4 and 8). 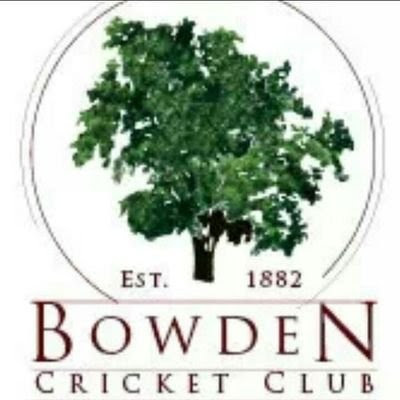 Bowden CC also has a Girls Team, a thriving Junior Cricket Section that represents the Club at Kwik Cricket, U11, U13 and U15 levels. With nights lengthening and the Recreation Ground put into hibernation for the winter, Bowden Cricket Club has been reflecting on a successful season. The Three Swans, Market Harborough, hosted the club’s annual dinner and senior presentation evening on the last Saturday in October, with around 100 club members in attendance. The greatest success went to the club’s second team, which won the Northamptonshire Cricket League Division Eight at a canter, having won their last fourteen consecutive matches. Skipper Fergus Kenney was presented with the league trophy, the team’s second promotion in consecutive seasons and testament to its winning blend of youth and experience. The team’s star performer with the ball was its youngest member. Off spinner Harry Wilford, 14, topped the team’s and the division’s bowling averages, talking 44 wickets in the season. Understandably he won the second team’s player and bowler of the season awards. Further honours were placed upon Harry’s early-laurelled head when he won the Northamptonshire Cricket League’s young player of the year award, given to the best under-18 cricketer in all thirteen divisions of the league. Cricket journalist and TV broadcaster Simon Hughes – Channel 4’s erstwhile ‘analyst’ – presented Harry with the trophy at the league’s recent awards dinner (pictured). Bowden’s ladies’ team – the ‘pinks’ – also enjoyed notable success. It won the Northamptonshire ‘Last Man Stands’ competition – an 8-a-side, 20-over format. Another teenager, team captain Flora England, was presented with the trophy by Bowden club chairman Rob Gomez. Flora and her team-mate Collette Wale also played their part in the men’s second team’s championship season. For the club’s first team, it was another year of ‘so near and yet so far’, finishing just outside the promotion places in league division four, repeating the pattern of the season before (and several seasons before that!) Nevertheless, there were some outstanding performances recognised. Antony Paton won batsman of the year. He was the league’s top runs scorer with 888 and shared the team’s player of the season accolade with another prolific batsman, recent arrival Fran Finnemore. Club stalwart Sam Freer won bowler of the year. Rob Gomez, club chairman, was made clubman of the year for the second season in a row – recognising his unfaltering stewardship of the club and tireless work on the ground. Recognition was also given to all those members who contributed to the smooth running of the club in 2018 through, amongst other duties: running the bar, making teas, and maintaining the ground. With Bowden’s youth teams also thriving and senior sides undoubtedly pushing for further honours, 2019 promises to be an exciting season. @JSL5591 @RobPackCricket Thank you for your kind words.